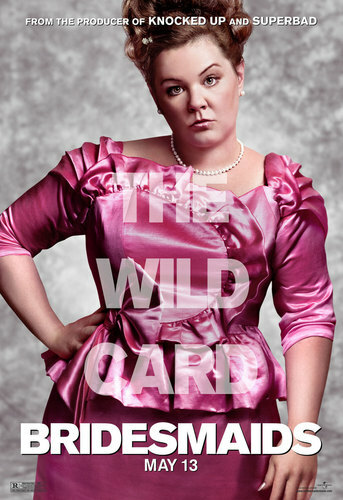 Melissa McCarthy - The Wild Card. Poster of Melissa McCarthy as Megan in Bridesmaids. HD Wallpaper and background images in the Bridesmaids club tagged: bridesmaids movie poster character 2011 melissa mccarthy megan the wild card. This Bridesmaids photo might contain ককটেল পোষাক and খাপ. "Are আপনি f*cking kidding me?"